In certain industries, the hands are at a high risk of experiencing impact injuries so impact-resistant gloves are an indispensable part of the PPE of mechanics, oil rig workers and construction professionals. 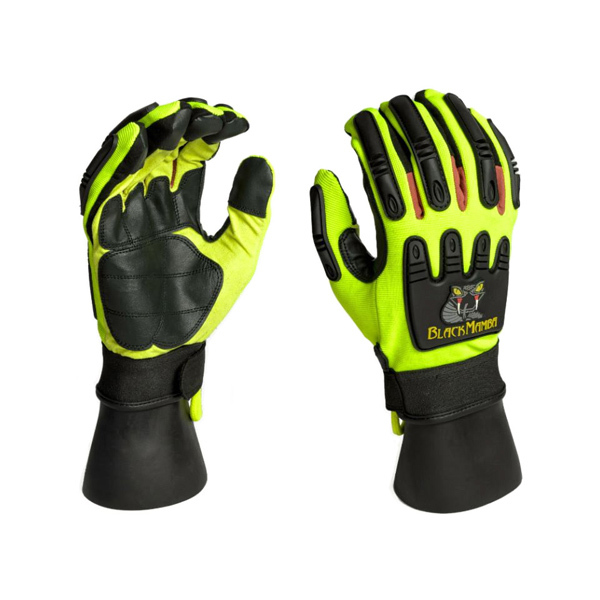 Featuring a high-visibility design, the Black Mamba Impact Protection Gloves PR-IPT are perfectly suited to work in harsh industrial environments. Offering full back of hand impact protection, these gloves also provide defence against abrasion and hand fatigue, with a flexible polyester liner. The Black Mamba Impact Protection Gloves are available in three different sizes. Please measure the width of your hand by measuring your palm from one end to the other excluding the thumb and fingers. The best point to do so is above the thumb region but below the fingers. Our Black Mamba Impact Protection Gloves PR-IPT are usually delivered by standard 1st Class Royal Mail and will typically arrive within 1 to 3 working days after dispatch.